Iodine could potentially improve your health. Thanks for your earlier helpful comments. I have noted my LDL has risen to 4.99mmol/L. HDL is 2.03. ( Total cholesterol is 7.3). I suspect of taking iodine for the last 7 weeks may have contributed to this LDL rise. With TSH of 6.63, T4 of 12.6 and low T3 of 3.4, while on Iodine of 6.25mg twice daily, whether taking Nutri-Meds bovine thyroid glandulars would be helpful to reduce LDL cholesterol and help with the hypothyroid symptoms. May I know whether you have any comments on the above and have any similar cases of seeing LDL cholesterol up while taking iodine. I greatly appreciate your comments. I haven’t heard of someone with higher cholesterol levels after taking iodine. Cholesterol is a very complex subject and although it goes up with hypothyroidism, it can also go up under other circumstances related with the immune system. I would repeat the tests in less than 3 months to help you determine a safe course of action. Thank you for this excellent post! I was treated with radioactive iodine therapy due to hyperthyroidism in 2006. 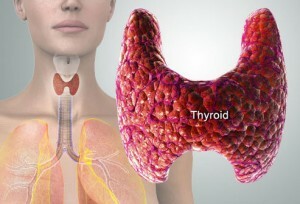 I have suffered from hypothyroidism ever since and am on T4+T3 natural medication (Erfa Thyroid). 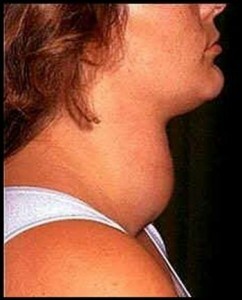 Is there anything I can do to boost my partly destroyed thyroid? 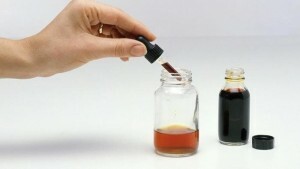 Would iodine supplementation be useful? I am taking vit. C and D, Fish oil and selenium as I was told I have low selenium. I also take vit. E and quercetine to help my MCAS. I have heard many patients get their thyroid function back after RAI, but I don’t know how it is possible. With iodine? 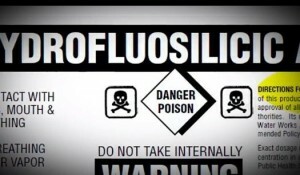 Basically, try a lugol 2% and dilute one drop of it in 10 drops of water. Apply in the heel every other day to supplement safely with iodine. I have hypothyreosis after having radioactive iodine treatment for hyperthyreosis 10 years ago. I am on thyroxine replacement meds. Would iodine help me? My doctor told me to avoid iodine because it will make my hypo worse. Is he wrong? Basically, get lugol 2% and dilute one drop of it in 10 drops of water. Apply one drop of the end product in the heel every other day to supplement safely with iodine. About 2.5 years ago, I stopped using antiperspirants. Earlier this year, I ditched my previous glycol based deodorants altogether and replaced it with a magnesium spray. It worked pretty good although there were a few days that I could have used conventional deodorant. During that time, I noticed a major transformation in my skin, on my back. Before the magnesium, it would have been common for me to have anywhere between 4-10 pimples of varying sizes. After, my skin was totally clear. It was odd seeing that as I must have been 15 the last time I remember seeing skin so clear. I started reading up on Iodine because I was curious about the pineal gland, and one article led to another. About 10 days ago, I started taking potassium iodide. I started per the instructions with 1 gram, which was way too much at first. I have varied it from 500mg – 1g over the past 10 days. This has given me quite a few pimples on my back, chest, and arms. Dry and metallic taste in my mouth. Itchy and runny nose. Is SSKI ok to continue to use or am I better off using Lugols solution? I think it would we easier as now, I am weighing my dosage everyday on a scale. I seem to be detoxing though so, I didn’t want to change anything. Stop until the skin problem clears up. Some people have had skin lesions that don’t clear up. A lower dose of up to 50mg would do. No reason to overdo it. There are other ways to detox, i.e. saunas, FIR, etc. I don’t use more than 12mg of iodine at a time. Thank you. I did just that. I’m also trying Lugol’s 2% and have yet to get a common cold. It’s usually pretty consistent for me to have been sick at least once by this time of year. I also perform the patch test with it but, still notice total fading within 4-5 hours. Maybe should I evaluate iodine co-factor supplementation? I also wanted to get your thoughts on if there’s any merit behind iodine reversing brain damage? I have a friend who suffered a serious injury a few years ago and he has somewhat plateaued in his recovery. I was thinking that it absolutely couldn’t hurt, also considering that his diet now is very “heat and serve”. Iodine co-factors are pretty useful, so is the salted water. How do I find a doctor in fla that uses dmso for prostatitis? whether or not you happen to be consuming an excessive amount of, and if so, then you must work with reducing the amount. seen them floating inside the water. ACabo de escuchar tu video ocnferencia sobre las grandes ventajas del consumo del yodo. Tengo dos pregunas que espero que por favor me puedas contestar. a. Se puede utilizar el yodo que genera el Aloe Vera, para curar la relación de enfermedades que has enumerado? b. El yodo del Aloe Vera, cura la enfermedad de peyronie? Esa enfermedad es la que tengo por eso te formulo la pregunta.